To stop guacamole discolouring, use just-ripe avocados and prevent air reaching the mixture by pressing clingfilm on to its surface. Put half the lime juice in a bowl with the chilli, garlic and coriander. Halve, stone and peel the avocados. Chop roughly and add to the bowl. Roughly mash with a fork or potato masher then season with salt and freshly ground black pepper. Add more lime juice to taste, along with more chilli, garlic and coriander if you wish. Pack into a small container and press clingfilm over the surface, making sure there are no air pockets. Cover and chill until ready to go. This can be served as a dip for vegetables or corn chips or served as a sauce for grilled fish, prawns, lobster, chicken, beef or lamb. 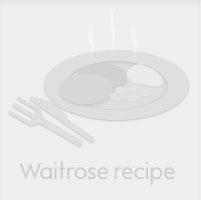 This recipe was first published in Sun Jul 01 01:00:00 BST 2001.